1. Sustain, Keep Up, Prolong : جاری رکھنا - بڑھانا : (verb) lengthen or extend in duration or space. We sustained the diplomatic negotiations as long as possible. Continue, Keep, Keep On, Retain - allow to remain in a place or position or maintain a property or feature. 2. Sustain, Get, Have, Suffer : متاثر ہونا - تکلیف یا درد ہونا : (verb) undergo (as of injuries and illnesses). Break Down, Collapse - collapse due to fatigue, an illness, or a sudden attack. 3. Sustain, Nourish, Nurture : کھلا پلا کر بڑا کرنا : (verb) provide with nourishment. We sustained ourselves on bread and water. Cater, Ply, Provide, Supply - give what is desired or needed, especially support, food or sustenance. 4. Sustain, Keep, Maintain : کفالت کرنا : (verb) supply with necessities and support. She alone sustained her family. The money will sustain our good cause. Have, Have Got, Hold - have or possess, either in a concrete or an abstract sense. 5. Sustain, Hold, Hold Up, Support : سہارادینا : (verb) be the physical support of; carry the weight of. Carry - bear or be able to bear the weight, pressure,or responsibility of. 6. Sustain : تصدیق کرنا : (verb) admit as valid. The court sustained the motion. Acknowledge, Admit - declare to be true or admit the existence or reality or truth of. 7. Sustain, Affirm, Confirm, Corroborate, Substantiate, Support : ثابت کرنا - توثیق کرنا : (verb) establish or strengthen as with new evidence or facts. Back, Back Up - establish as valid or genuine. Continuance, Duration : تسلسل : the period of time during which something continues. Extend, Stretch : پھیلانا : extend one`s limbs or muscles, or the entire body. "Stretch your legs"
Accidental Injury, Injury : حادثاتی چوٹ : an accident that results in physical damage or hurt. Lengthen : لمبا ہونا : become long or longer. "In Spring, the days lengthen"
Infinite, Space : بے انتہا : the unlimited expanse in which everything is located. "They tested his ability to locate objects in space"
Undergo : کسی تجربے سے گزرنا : pass through. "The chemical undergoes a sudden change"
Sustainable : قابل برداشت : capable of being sustained. Suspicion : شک کرنے کی عادت : being of a suspicious nature. How this page explains Sustain ? It helps you understand the word Sustain with comprehensive detail, no other web page in our knowledge can explain Sustain better than this page. 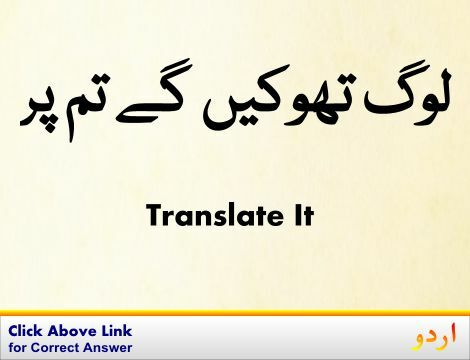 The page not only provides Urdu meaning of Sustain but also gives extensive definition in English language. The definition of Sustain is followed by practically usable example sentences which allow you to construct you own sentences based on it. You can also find multiple synonyms or similar words on the right of Sustain. All of this may seem less if you are unable to learn exact pronunciation of Sustain, so we have embedded mp3 recording of native Englishman, simply click on speaker icon and listen how English speaking people pronounce Sustain. We hope this page has helped you understand Sustain in detail, if you find any mistake on this page, please keep in mind that no human being can be perfect.